Take a quick tour of CrossFit Tides and learn a little more about how and why we do things. It’s a great way for you to see if CrossFit Tides is a good fit for you. We will also answer all your questions about membership, pricing and why CrossFit is great for all athletes. There’s no sales pitch. If you commit, so do we. Build knowledge, fitness and confidence with the Elements Package. Our four, progressive private coaching sessions include learning the fundamental movements of CrossFit, CrossFit lingo, class protocol, and nutrition guidance that will allow you to hit your specific fitness goals. You’ll also learn how to use Wodify, the program for reserving class times and for tracking your fitness progress. Your coach will also spend time getting to know you and helping you establish your personal goals. Each session will be 60 minutes. When completed, you’ll step into class with confidence and knowledge of the basics of CrossFit. 3. You're ready for Classes! As soon as you finish your Elements Package, you’ll be able to jump into class. Our memberships are simple: we offer a Monthly Unlimited membership. There are discounts for annual pricing, married couples, police, fire, active military and students. 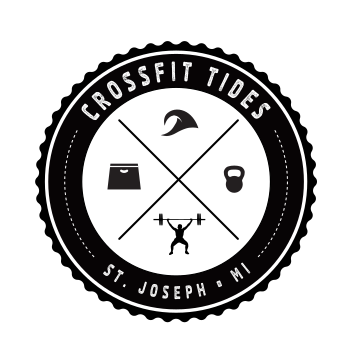 Email contact@crossfittides.com and we will get back to you within 2 business days. Also check out our class schedule and the blog for information about Tides.